Fr. Ron enjoying time with SOPHIA – Transforming lives. Transforming society. Fr. 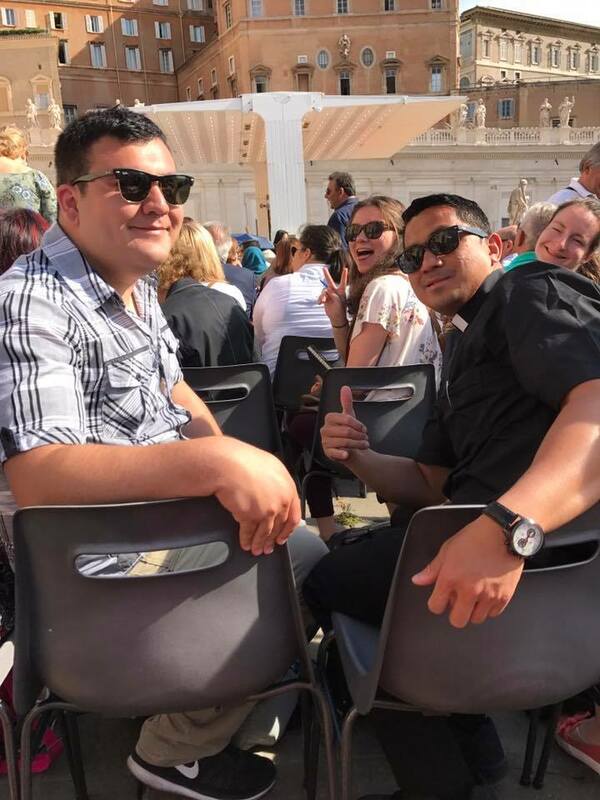 Ron Sibugan is in Rome with the SOPHIA program right now. SOPHIA stands for the Sophomore Initiative at Assumption College, but it of course also means “wisdom” in Greek. And that’s the program’s purpose: to help sophomores use the wisdom of both the Church and our greatest thinkers to discern their callings in life. I’ve been so blessed to be invited to be part of the Assumption College SOPHIA program in Rome. I have received so many blessings and graces on this trip. It has been a wonderful experience journeying with the SOPHIA group. We’ve learned the history of Rome and visited many historical places and met many people along the way. It was also a privileged to celebrate Mass in the church of the Geśu and see the Pope during the Papal Mass audience yesterday. Today, I celebrated mass at Saint Ignatius Church and saw the Vatican Museum and Sistine Chapel for the first time.